An 8 weeks course, suitable for anyone who has done the Beginners’ class, anyone who has done a bit of Improv and wants to get better, and anyone who had done a lot of Improv but still wants to work on the fundamentals. The course will go more deeply into the techniques that makes make improvisation games and scenes fly! We will spend time on trust, acceptance, focus, flow and group mind, as well as character, stage, status and object work. Led by Jon Trevor, founder and leader of Box of Frogs. If you wish to join after the class has started this is often possible, please contact us. An 8 week improv course teaching the core skills of improvised comedy. Discover the joy, freedom and challenge of Improv. Learn to be more creative and more playful. Low-pressure, high-enjoyment classes in a fun, friendly, supportive and stress-free environment. Complete beginners are welcome. You don’t need any drama, acting, comedy or improv experience whatsoever. You don’t have to be clever, fast or funny either! Also good for writers, actors and comedians looking to widen their skills and boost their confidence. Improv is not the same as stand-up; you’re not alone on stage and it’s not about telling jokes or being really quick and witty. It’s about working together as a team with other improvisers to spontaneously create group stories, scenes & sketches. 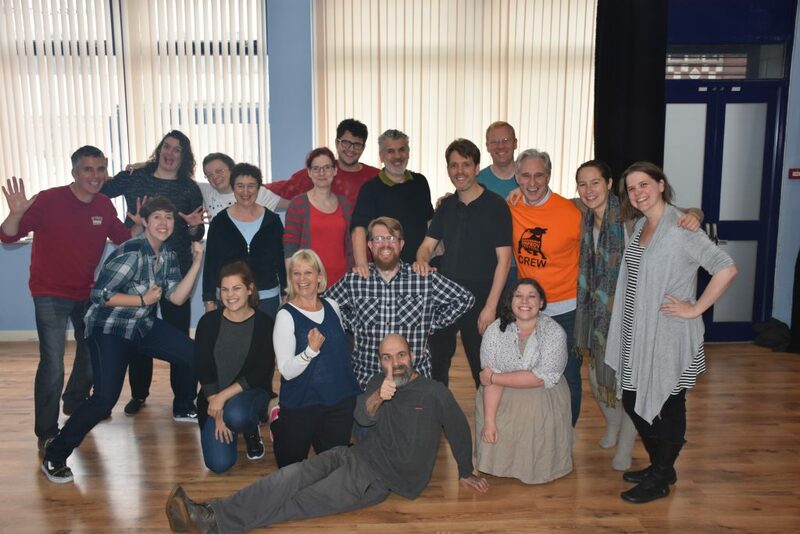 Over a course of 8 weekly workshops you’ll progress as a team while learning core improvisation skills like Spontaneity, Listening, YesAnd, Character, Scenes, Story and having fun with improvisation.